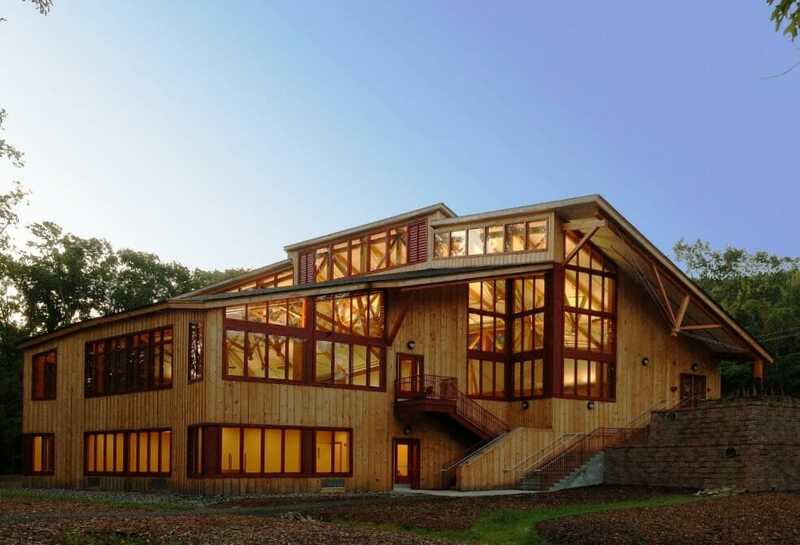 What do you imagine when a timber frame with steel joinery is proposed? Sometimes we use steel joinery because the engineering requires it. Sometimes we use steel joinery for the look. Other times, we use steel joinery for both the engineering and the look. 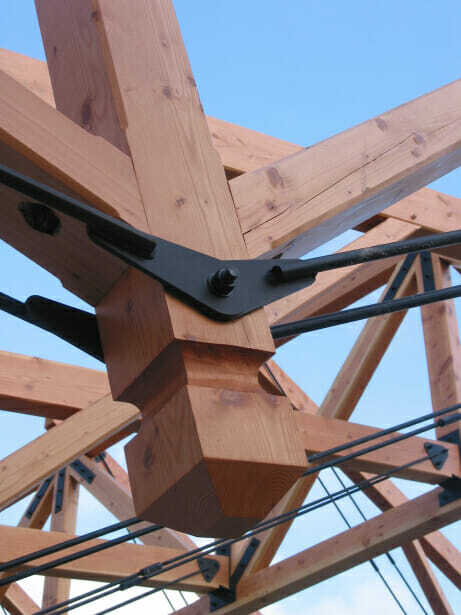 If you know that exposed steel is required structurally for your timber frame, how about making it look so crazy cool that it adds to the overall design! Sounds like an excellent plan, and I have just the project in mind to show you; the Fresh Air Fund’s dining hall for Camp Hayden. The 3d design is pretty accurate, which is great fun. Everyone involved wanted to see the frame come together while our engineer carefully designed the joint details. 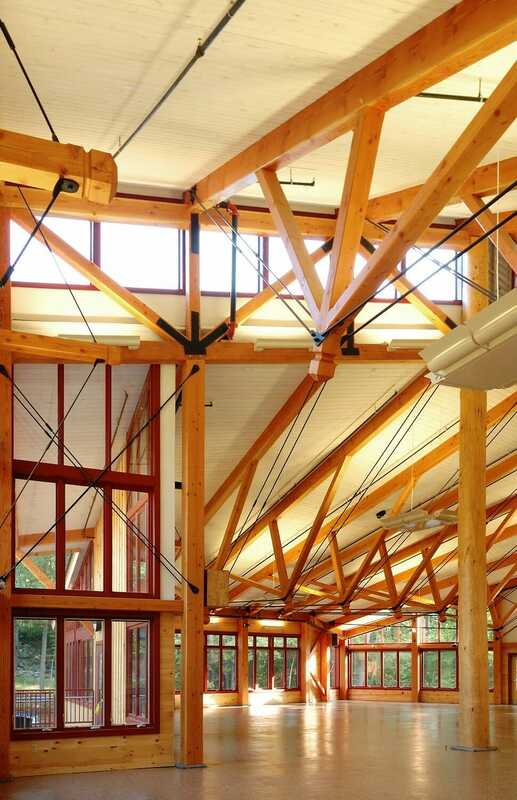 Douglas fir timber was chosen for this frame, because it is strong and beautiful. Check out the finial. It wasn’t attached to the beam; it is the cut end of the beam. The steel is such an interregnal part of the design. It’s a unique and impressive project. The team players that made it happen are especially proud. The overall scale of this structure is something else, and that is why I chose it. Some design details worth noting: the posts, the columns, the girders with steel plates, the king post trusses with finials, and the double tie rods. It’s all very cool. 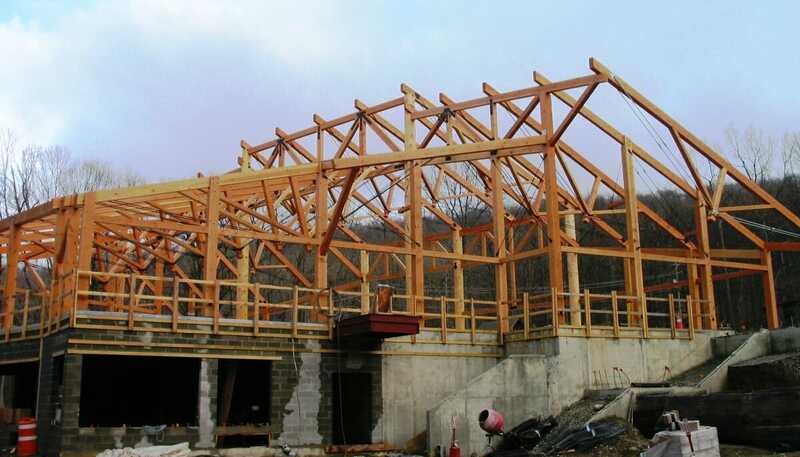 Thanks for stopping by our timber framer’s blog! If you like this post, or have any timber work questions, we invite you to get in contact, ask an expert, or share your thoughts in the comment section below! Exterior steel rods are galvanized? 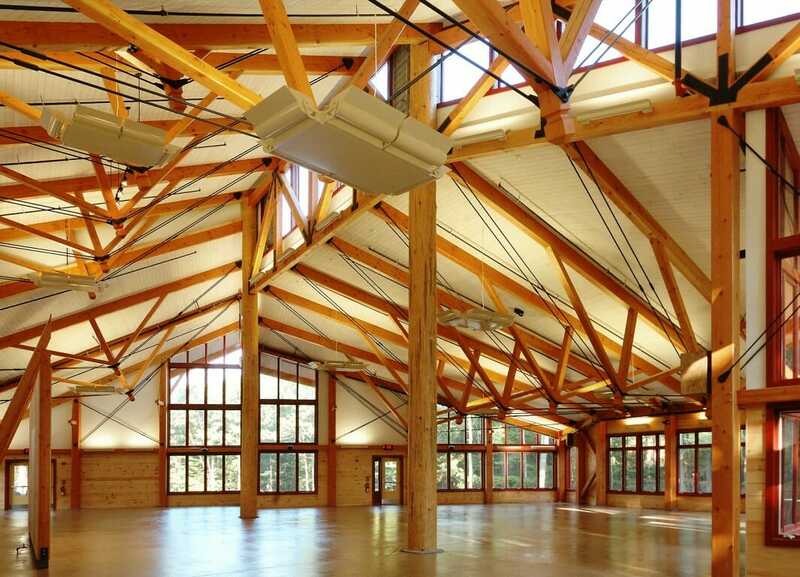 Whenever I think of a truss I think of a log cabin. Mostly, because inside a cabin you can see many of them on the interior as well as the exterior. As for this house, you can see exactly what I’m talking about. Thanks for the images.